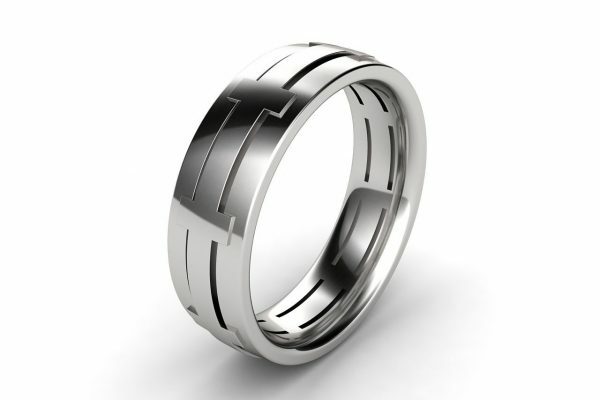 A beautiful contemporary diamond set male wedding ring made in the heart of Melbourne. 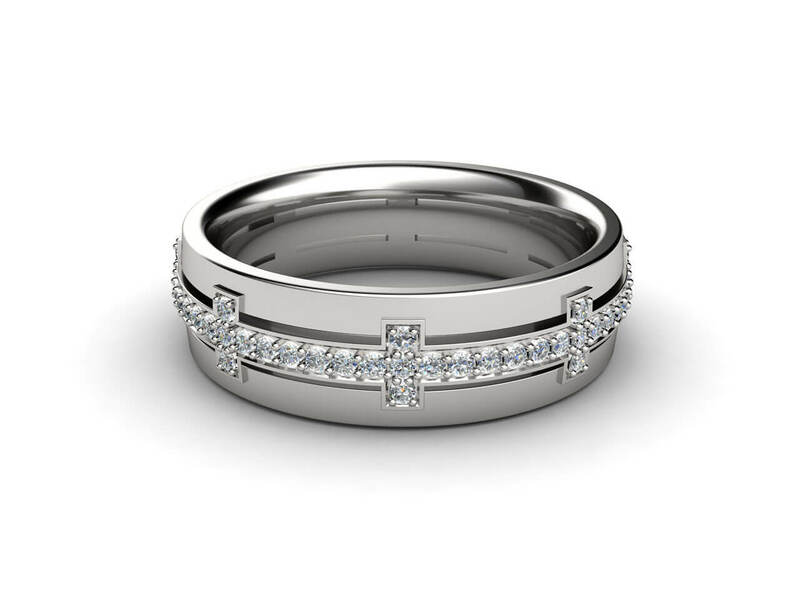 Over 70 white diamonds sparkle in the centre of this ring. 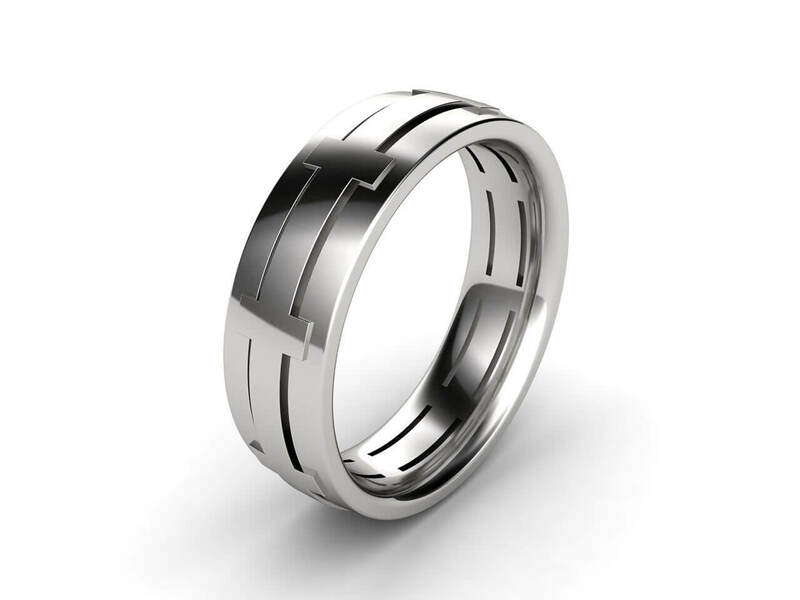 An interesting cross pattern of 18k gold or platinum complete this unique design.